Looking To Buy A Keyboard? Here Are Some “Key” Pointers! When you’re want to buy your first keyboard, it’s often confusing to know exactly what to get. Keyboard or piano? Or do you actually want a digital piano? And what are the differences between the two? The most important fact is the following: From the smallest to the largest, they are ALL keyboard instruments. Even a Steinway concert grand is a keyboard instrument. Over the years though, taking acoustic pianos out of the equation, the distinction between digital pianos and keyboards has become palpable. A digital piano feels like the real thing, is heavier to lift (because of the weighted keys) and sounds more like a real piano (a very subjective thing), whereas a keyboard is (generally) smaller, lighter, and, most of the time, has way more features than a digital piano. Weighted keys(like a real piano)? Do you want to manipulate the sounds? If you are a serious classical student/player, you will need 88 keys. If you are a beginner, or you want to use the instrument for other styles that do not require a full keyboard, anything from 61 keys will do. It all depends on you. However, beginner pianists can still play most exercises on 61 keys. Don’t be tempted to buy anything smaller, as you really can’t learn effectively on fewer than 61 keys. Do I Need Weighted Keys? Once again, if you are a serious classical student/player, you need to buy a keyboard with weighted keys (heavy, like a real piano). Any other style depends on you. Most weighted pianos have 88 keys, whereas a typical keyboard has 61 or 76 (in rare cases 64 or 73) keys. It’s important to bear in mind that most 61-key keyboards aren’t weighted, so if you later graduate to a real piano, it will feel completely different. This is because real pianos have hammers. When you hit a key, the hammer swings and hits strings inside the piano. This is a difficult question, definitely not set in stone. Some churches are very modern and funky in their contingent, and want modern, funky sounds and beats; other churches are quite traditional and want a piano-type vibe. Some people want to practice/learn piano at home. Some want to just use a non-weighted keyboard for noodling tunes. Still others want to use a MIDI controller to programme notes in a MIDI sequence on a PC or MAC. Once again, it all depends on your motivation – serious piano student vs keyboard/synth player vs programmer…..any of these (with very few exceptions) can be used to play professional gigs. If you are looking to buy a keyboard that’s a stand-alone unit with which you can manipulate/change the sound (ie, add more reverb, resonance or change the cutoff time), you probably want to look at a synthesizer. Some synths are weighted; most are not. One cannot write off non-weighted keyboards and synths for serious players – many great Jazz players use non-weighted synths (Chick Corea, Jan Hammer, Keith Emerson, Andrew Ford). Some manufacturers, such as Yamaha, use weighted keys on their digital pianos to try and recreate the feel of a real piano. They even have a graded hammer action on some of their models. This means the bass keys are a little heavier than the treble keys. Weighted keys add a huge range of dynamics to your playing, but most regular keyboards don’t have them. 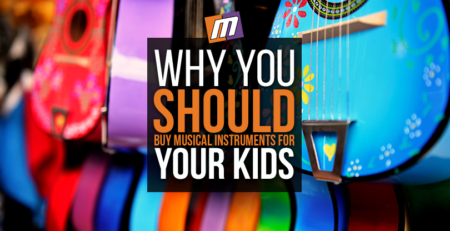 Some of the more expensive models offer what’s called “dynamic play” instead. This is when a keyboard has velocity-sensitive keys. In other words, the harder you press the key, the louder the sound. A keyboard also has a significantly different functionality to a digital piano. Most home keyboards, for example, have two common features, namely one-touch chords, and auto accompaniment. Essentially, this means that by simply touching one “chord” key, you can get accompaniment patterns played in different styles. It’s like having an entire band all playing at once. With a digital piano, on the other hand, just like with a real one, the music is played in two separate parts – one for the left hand, and one for the right – but at the same time. Sustain pedal (most keyboards have a 6.3mm/¼ inch socket for this) – when pressed, it emulates the sustain/vibration of a real piano. All the damped strings on the piano are “sustained” by moving all the dampers away from the strings and allowing them to vibrate freely. All notes played will continue to sound until the vibration naturally ceases, or until the pedal is released. Headphones, so you can practice late at night! Keyboard stand – X-frame or a Z-frame; a Z-frame is sturdier, an X-frame is cheaper. Some high-end weighted digital pianos have wooden furniture-style stands available as an optional extra. This is just a rough guide, as buying a keyboard is a very personal thing – there is no black-and-white. It all depends on your personal needs and preferences. If you still have questions, feel free to email, call or visit Marshall Music. We stock a huge variety of keyboards, and our friendly and knowledgeable staff are on hand to answer any questions and offer advice. 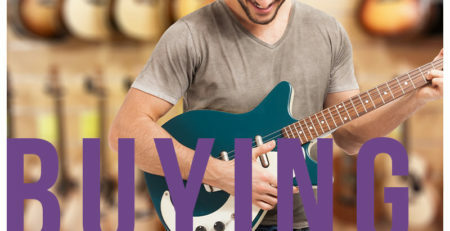 The Only Guide To Buying A Guitar You’ll Ever Need! 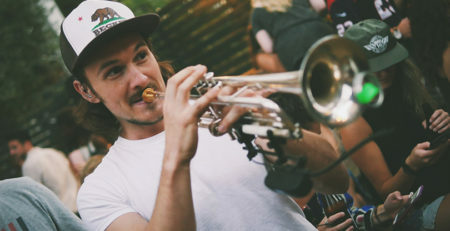 It’s Time To Blow Your Own Jupiter Trumpet!